Leigh, who came into the event with a healthy points lead having won two of the opening three races of the season, took a controversial victory in the first race of the day at Paul Ricard. Polesitter Leigh was locked in a tense wheel-to-wheel fight with Frederik Rasmussen in the second half of the race, with Leigh forcing Rasmussen off the track at the Turn 11 hairpin on the penultimate lap of the race. Rasmussen re-joined the track but behind his Toro Rosso team-mate Patrik Holzmann. A post-race five-second penalty initially dropped race winner Leigh to sixth overall. However, Mercedes successfully appealed the decision and Leigh’s win was reinstated, with Holzmann and Rasmussen completing the podium. 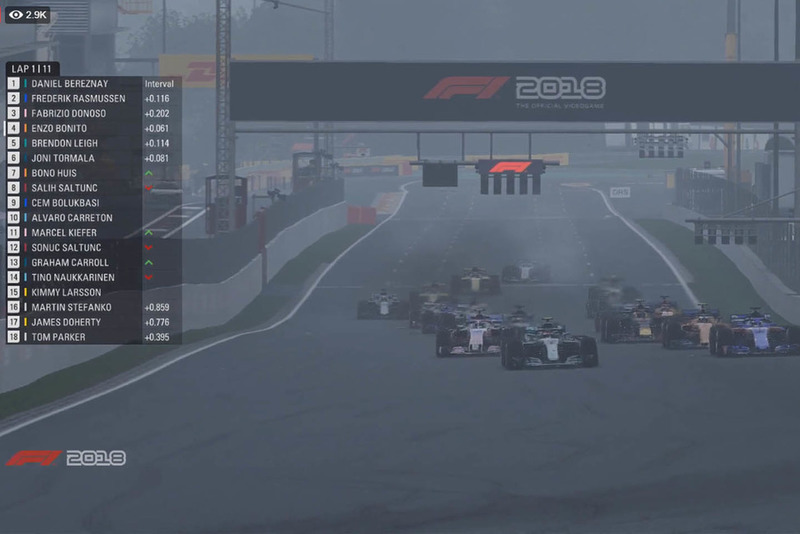 The controversy continued in the second race at Silverstone with the duo locking horns once again for the lead of the race on the penultimate lap. Rasmussen undercut Leigh for the lead during the pitstop phase, but Leigh overtook his title rival on the inside of Stowe – the duo made contact with Rasmussen accepting post-race that he turned into the corner too early. 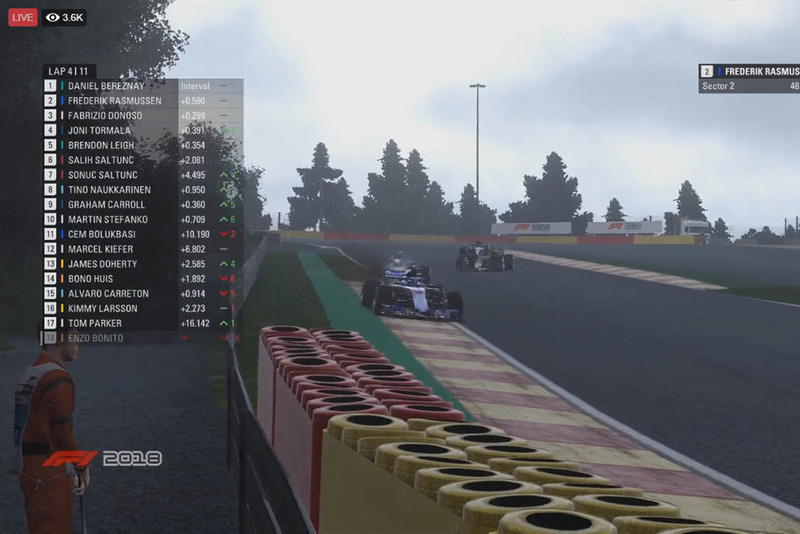 Sauber’s Salih Saltunc pipped the Force India duo of Marcel Kiefer and Fabrizio Donoso Delgado over the line to take the final place on the podium. However, a three-second penalty for corner cutting, promoted Kiefer to third. Delgado briefly led after passing Leigh into Stowe on lap three, but a penalty for speeding in the pitlane dropped him outside the top 10 post-race. 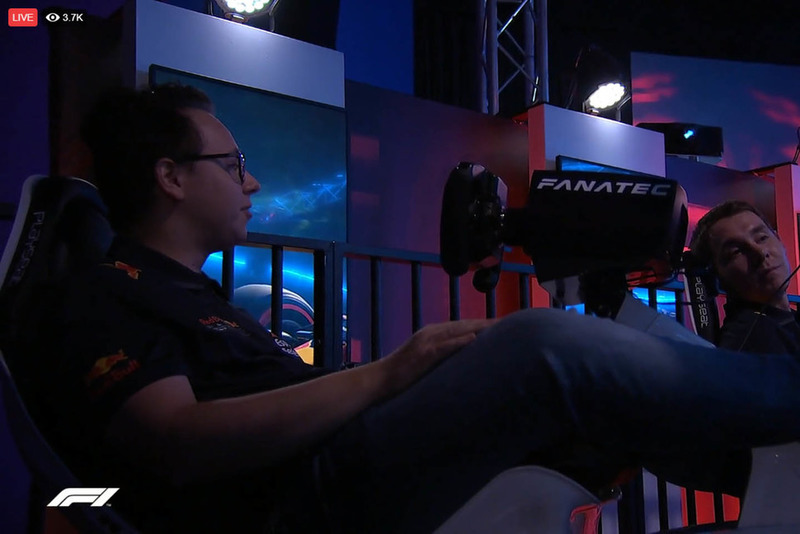 Leigh’s team-mate Bereznay took his maiden F1 Esports win in the final race at Spa from pole position. 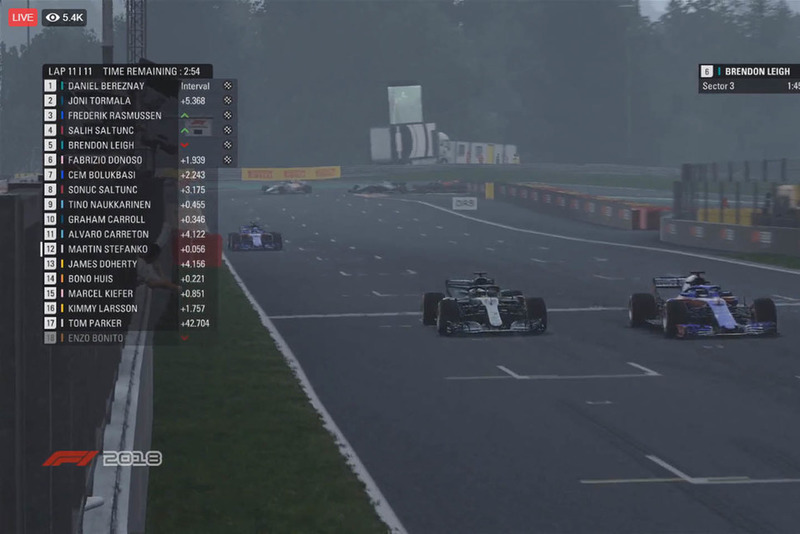 Rasmussen overtook Bereznay on the opening lap at the end of the Kemmel straight, but the Hungarian driver took the race lead back in the same fashion just two laps later. Bereznay raced off into the distance and won the race by 5.368 seconds. Red Bull had a difficult opening couple of races of the event, but Joni Tormala returned them to the podium with a second-place finish. Rasmussen stole the final place on the podium at the chequered flag from Leigh on the exit of the final corner on the last lap, with Salih Saltunc taking fourth from Leigh with exactly the same race time. Delgado’s misfortune continued with a three-second penalty for corner cutting, demoting him from third to seventh place – a testament to the tightness of the battle for second and third places. A clean sweep of victories allows Mercedes and Leigh to extend their advantage in both championships, with the final four races of the season set to begin on November 16.